Karen has s spent over 20 years in the heart of the complexities of international government contracting. She has been the broker & risk management consultant for the industry's top contractors and continues to support them with custom solutions to help them drive their annual objectives. 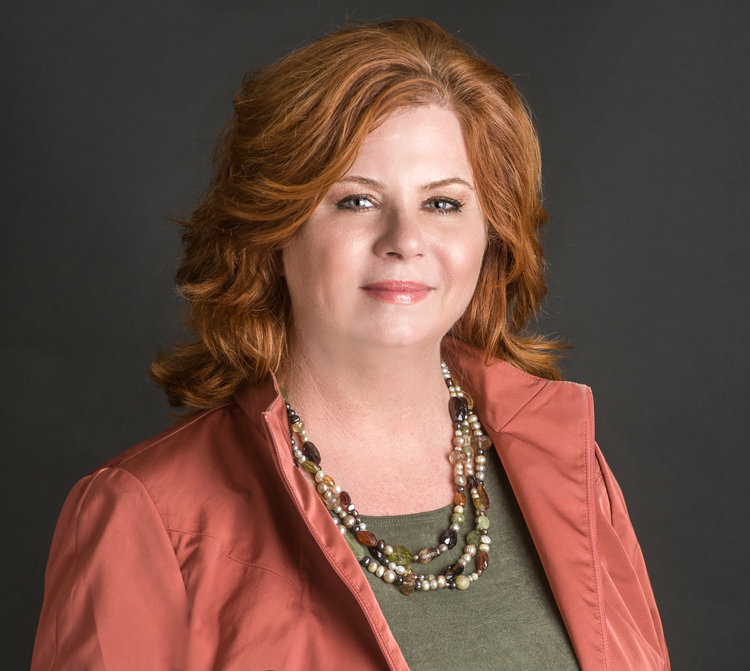 Tired of the inconsistencies of the industry and wanting to provide an upscale service in this industry, Karen started GovCon Consulting; a risk management agency. GovCon Consulting is a recognized leader in defining and developing solutions for Defense Base Act coverage and its implications for both contractors and the government agencies responsible for requiring and administering the Act. Richard L. Garelick has been affiliated with Flicker, Garelick & Associates, LLP since it was founded in 1985. He became a principal of and name partner in the firm in 1994. His national practice focuses on the defense of claims arising under the Defense Base Act ("DBA"), the Nonappropriated Fund Instrumentalities Act and the Longshore and Harbor Workers' Compensation Act. Mr. Garelick's work in DBA and Nonappropriated Fund cases includes the prosecution of the claims of employers and carriers for reimbursement under the War Hazards Compensation Act. In addition to his defense of federal workers' compensation claims, Mr. Garelick defends against personal injury lawsuits brought by seamen and commercial divers under the Jones Act and general maritime law, as well as actions brought by rail workers under the Federal Employers' Liability Act. Mr. Garelick frequently lectures on these specialized areas of workers' compensation and personal injury law, and is recognized as an expert in these fields of defense practice. Mr. Garelick is also the author of the "Average Weekly Wage" chapter in the Defense Base Act and War Hazards Compensation Act Handbook (LexisNexis, 2008 and 2010). Mr. Garelick began his career in the field of workers' compensation and personal injury law through the defense of claims and actions that emanated from the New York and New Jersey waterfront. Mr. Garelick received his Bachelor of Arts degree from New York University in 1983 and his Juris Doctor in 1986 from Brooklyn Law School. He is admitted to practice before the state and federal bars in both New York and New Jersey, and he is authorized to practice throughout the nation before the United States Department of Labor's judicial and administrative tribunals. Mary Bezzini is the President and CEO of Godman Power Group, Inc., a Washington, DC, based engineering services firm that builds and sells turnkey energy systems worldwide. Ms. Bezzini oversees the overall business, finance projects, product manufacturing, and power design operations. She is an internationally recognized expert in the field of energy, software integration, security, and compliance, with particular depth in deploying microgrid technology and turbines. She has worked on contracts with the U.S. Army, the U.S. Navy, the Departmentof Justice, and the Department of Homeland Security. Ms. Bezzini is a featured guest speaker for the US government, national, and international technology conferences and trade shows. Ms. Bezzini holds BA and MAIS degrees from George Mason University in Virginia, with advanced training in energy and power engineering. Howard Lind is serving as the President and Executive Director of the International Stability Operations Association that represents private sector companies and non-governmental organizations, who work in fragile states around the world. 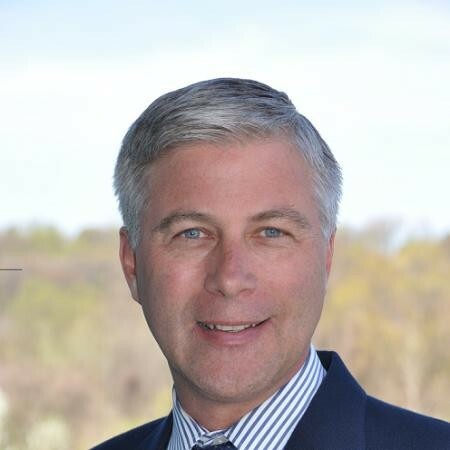 Previously, Mr. Lind served as the Chief Operating Officer for Matlock & Associates, a woman-owned small business, specializing in engineering, construction, and logistics. He previously served as a Washington DC representative for the Fluor Government Group in which he represented Fluor to many government organizations in the Washington DC area regarding Fluor’s work in the middle east and central Asia. Prior to joining Fluor, Lind served in the Departments of Defense and State in the offices of Iraq and Afghanistan reconstruction from 2003 to 2007. He began with the Coalition Provisional Authority at the Pentagon in support of the US Ambassador to Iraq, Paul Bremer. Lind then worked in the State Department’s Near East Affairs / Iraq Office (Secretariat for Political Affairs) for the Iraq Reconstruction Management Office. Following that assignment, Lind served again in the Pentagon in the office of the Assistant Secretary of the Army for Acquisition, Logistics, and Technology (ASA-ALT) as Deputy Director for the Iraq Project and Contracting Office which was responsible for overseeing the $21 billion Iraq Reconstruction Program for DoD. Mr. Lind began his professional career as a US Naval Officer. After a 20-year career, he retired at the rank of Commander having served in an array of leadership and technical assignments aboard five Navy ships of the line and at Navy installations worldwide. Mr. Lind received a Bachelor of Science degree from Virginia Tech and a Master of Science degree from the Naval Postgraduate School. Meet Mr. Frank Sioli, a founding member and serves as Chief Strategic Officer with Sioli Alexander Pino. Mr. Sioli has been practicing in the Admiralty/Maritime, Insurance, and Commercial Transactions-Litigation fields for over 20 years. Mr. Sioli has a long history of working with the Defense Base Act and its related covers. He has a deep proficiency for excavating claims and protecting employer’s bottom lines through responsible representation. Mr. Sioli honed his legal skills at a young age, debating coverage and other insurance related issues at the dinner table with his insurance broker father. As fate would have it, Mr. Sioli later found himself smack in the middle of such issues as his experience and practice areas expanded. While in law school, Mr. Sioli participated in jury trials as an intern for the Miami-Dade County Public Defender's Office, and taught "Street Law" to high school students, helping students learn about the legal system and ultimately participate in a county-wide trial competition. Because litigation is basically about educating the Judge or Jury on various subjects, Mr. Sioli believes in keeping his teaching skills sharp, having presented topics at various national and local seminars as well as on an in-house basis. Mr. Sioli is also one of the few lawyers in Florida who has tried cases to verdict in the Criminal, State Workers' Compensation, Longshore Workers' Compensation, and Civil Litigation venues. This versatility allows him to employ successful litigation strategies from one litigation forum to another. Mr. Sioli received his Bachelor of Arts degree from the University of Pittsburgh in 1991, and his Juris Doctor from Nova Southeastern University in 1994. He is admitted to practice in the State of Florida, United States Supreme Court, United States Court of Appeals for the Eleventh Circuit, United States Court of Appeals for the Fourth Circuit, the United States District Courts for the Southern and Middle Districts of Florida, the District of Columbia, and the State of Texas. Jared H. Kaji is Occu-Med’s Vice President and is chiefly responsible for the Company’s development and operations. Mr. Kaji began his career at Occu-Med in 2003, while studying at California State University, Fresno, as an intern working in the Company’s EXAMQA Department. In this role, Mr. Kaji’s attention to detail, need for efficiency, and passion for nuance furthered the Company’s commitment to Quality and perpetuated a word-of-mouth marketing campaign. As a result, Mr. Kaji was promoted to the Company’s Director of Business Development in 2006. Over the next ten years, as Director of Business Development, Mr. Kaji championed Occu-Med’s venture into the global marketplace – developing Occu-Med’s International Network of Medical Providers and the Company’s Scheduling and Harvesting Departments, while simultaneously promoting the service and building a client base comprised of more than a thousand public agencies, fortune 500 companies, and more than 60% of the Company’s target market within the government contracting arena. Jason Allen started Worldwide Risk Management with one thing in mind – he wanted to help U.S. based employers working around the world manage their insurance needs in the most effective and efficient way possible. That’s a lofty goal considering the escalating costs associated with the Defense Base Act and the chaos that comes from dealing with government agencies and contracts. Today, Jason and the Worldwide Risk Management team are proud to offer technological solutions that reduce claims for companies from all sectors including mission organizations, private contractors, foreign governments, U.S. government agencies and universities. WRM provides them with peace of mind in this ever-changing global environment. Jason is known for his intense knowledge of critical working regions such as Afghanistan, South Africa, Syria and his ability to study key areas of deployment. In his role as president of Worldwide Risk Management, Jason works with the client and the U.S. contracting agency as well as ground security and local organizations to provide workable solutions – keeping his clients competitive in their industries and bidding. He has also spoken at several industry events over the years. Dr. Kenneth McDonnell is the Medical Director & Vice President for International SOS Government Services, Inc. In this role, Dr. McDonnell plays a critical role in supporting U.S. Government Services business development as well as overseeing all aspects of medical operational delivery for programs supporting U.S. Government agencies and intra- government organizations. Dr. McDonnell served as the Global Medical Director for the TRICARE Overseas Program (TOP) for the past five years and remains an integral part of the company’s successful delivery of quality-assured, patient-centered health care services on behalf of TOP beneficiaries worldwide. He also led the successful delivery of case management and medical care oversight services for TOP, consistent with TOP Quality and TRICARE Operations and Policy Manual requirements. Dr. McDonnell was responsible for facilitating communications with the respective Military Treatment Facility Commanders in each overseas area, helping to ensure the continued effectiveness and efficiency of International SOS’ integrated health care delivery services within the overseas medical environment. Prior to relocating to the United States in August 2012, Dr. McDonnell had been working in the flagship International SOS London Assistance Center as the Medical Director for TOP Global Operations, working closely with EUCOM, U.S. Africa Command, the TAO and TPMRC-E to ensure the highest quality of care delivery. Dr. McDonnell brings extensive U.S. military medical leadership experience to International SOS, as well as an understanding of TRICARE. Promoted to the rank of Colonel in 2007, he was Commander of the 48th Medical Group at RAF Lakenheath, the largest U.S. Air Force base in England, including 30 clinics and over 800 staff. Previously, Dr. McDonnell served as Deputy Commander, 60th Medical Group at Travis Air Force Base in California, Chief of the Medical Staff in both Germany and Turkey, and deployed as Expeditionary Medical Support Commander on several operations in Iraq. He has been the Medical-Surgical Director for Landstuhl Regional Medical Center as well as acting as the Validating Flight Surgeon, United States Transportation Command, validating over 500 OIF/OEF patient movements. 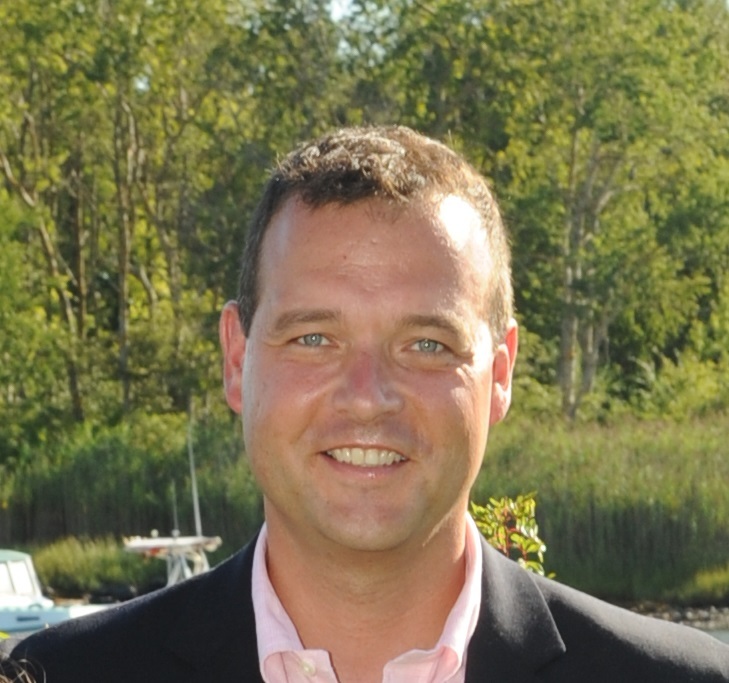 Born in Alexandria, Virginia, Dr. McDonnell is a Flight Surgeon and board-certified in Internal Medicine, having graduated with Honors from the University of Notre Dame. Nikhil Shenoy is the Founder and CEO of Colvin Run Networks, a Blockchain Solutions company that was awarded 2017 & 2018 Virginia Center of Innovative Technology (CIT) Business Grants. Nikhil is a leader of the Government Blockchain Association, running its Reston Chapter (450+ members) along with the Global Supply Chain working group, and is a sitting Board Member of the Fairfax County IT Policy Advisory Committee. Nikhil has over a decade of experience in technical product development, delivering initiatives for leading companies in a variety of industries including finance, consumer goods, and security technology at Goldman Sachs, Procter & Gamble, and Kastle Systems respectively. 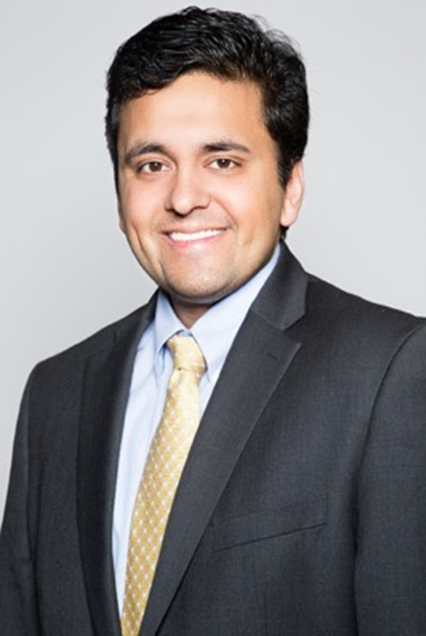 Nikhil holds a Chemical Engineering degree from the Massachusetts Institute of Technology, and an MBA from the University of Chicago’s Booth School of Business.